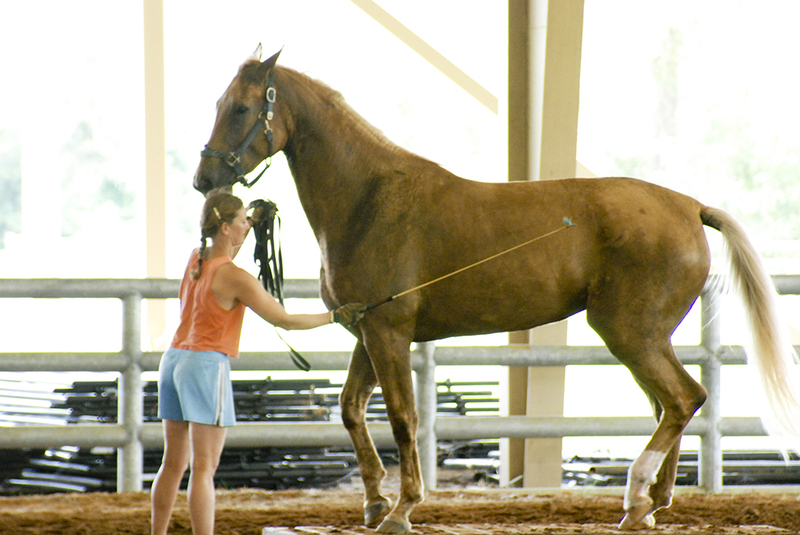 As a foal Marigold was the Champion at her Inspection and was East/Southeast Foal Futurity Reserve Champion that year with an overall score of 8.1! 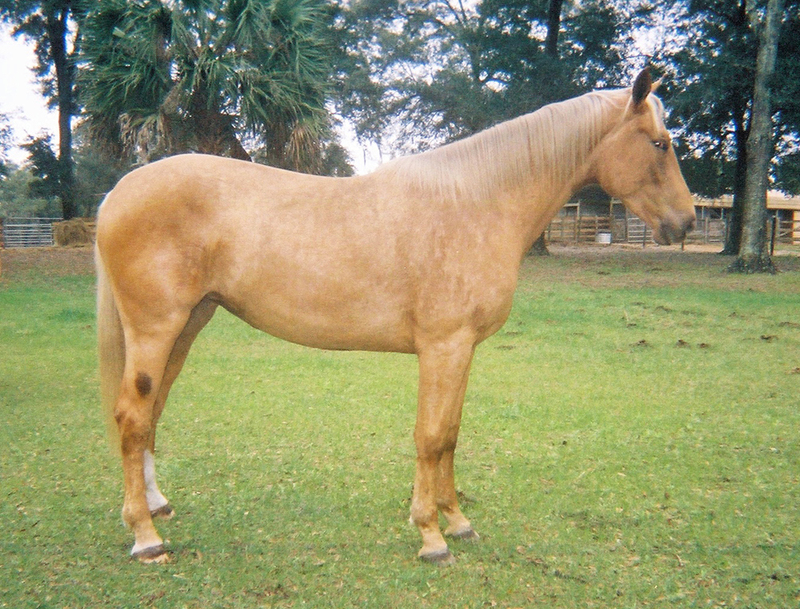 Her sire is the deceased Oldenburg Cremello stallion Mascarpone and her dam Oldenburg Wega is by Wummestern. 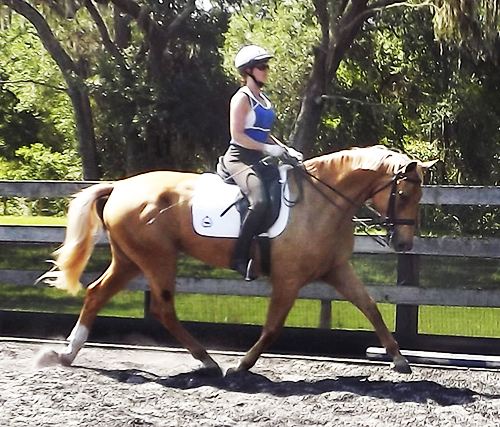 Marigold is currently working at 1st level dressage and has experience driving as a single, pair and even in a 4 in-hand. 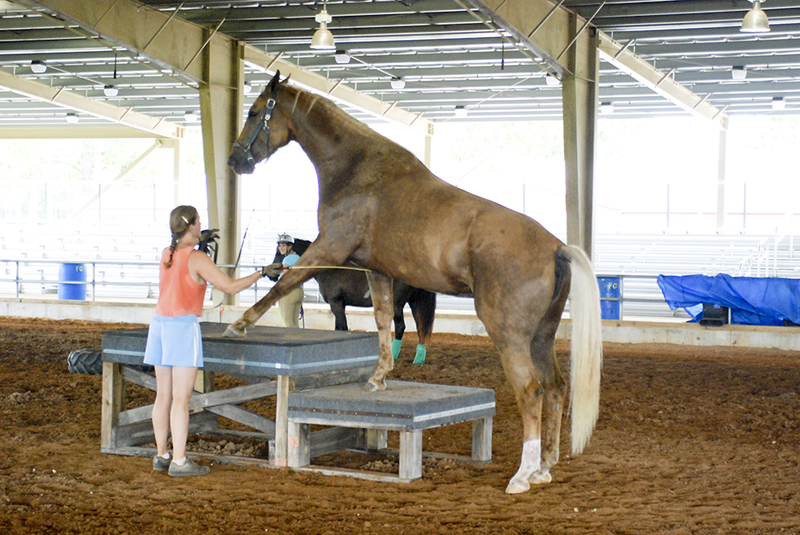 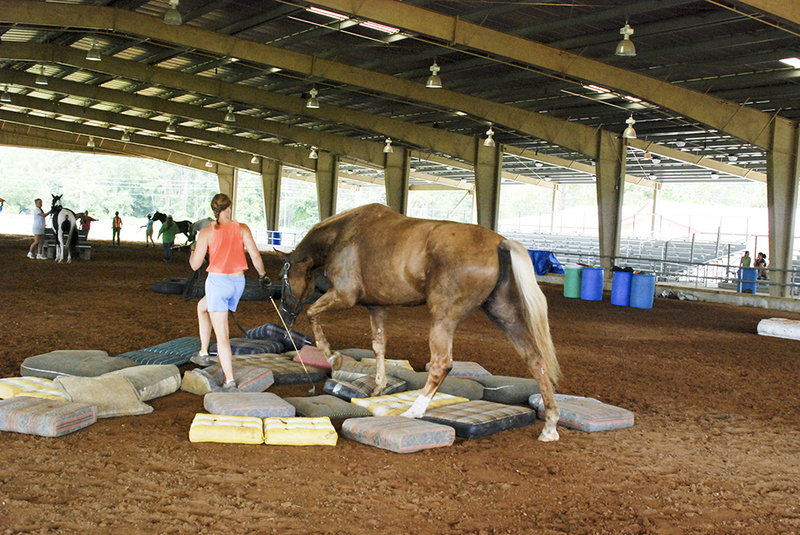 She has also attended equine obstacle course undersaddle, you can see the video below. 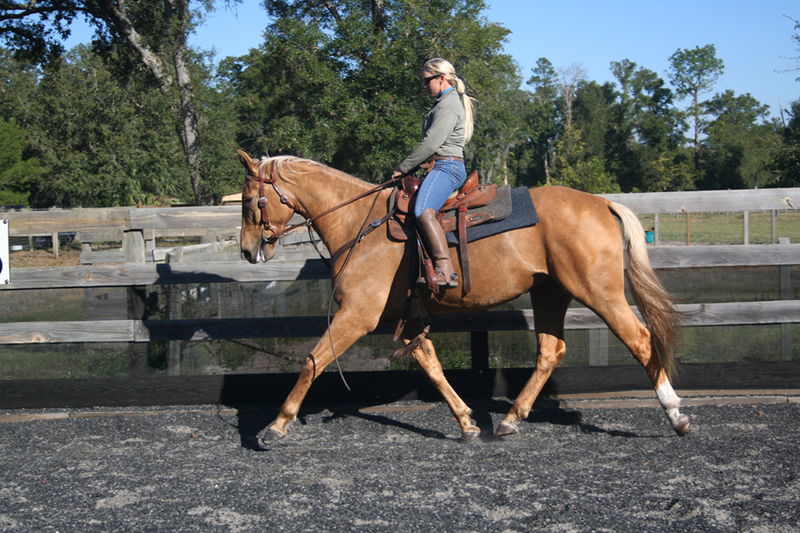 She is a true solid 17 hands, a big, lofty mover and needs an experienced rider. 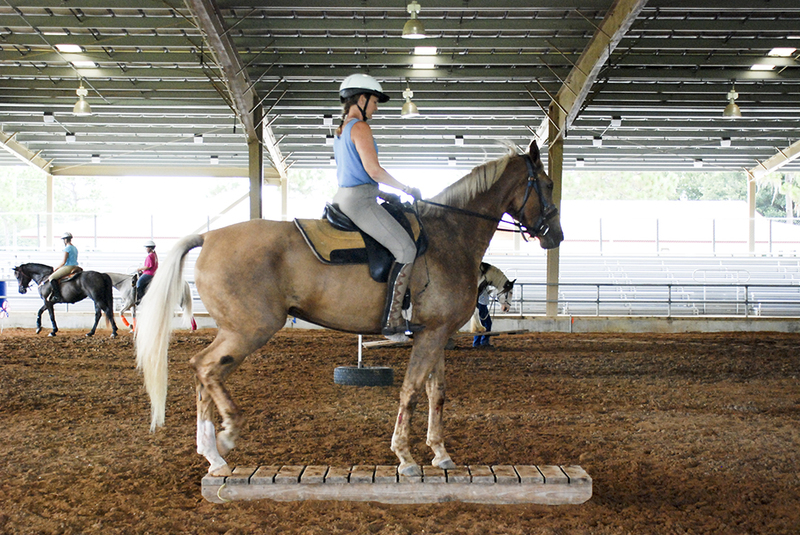 New video of her working undersaddle below. 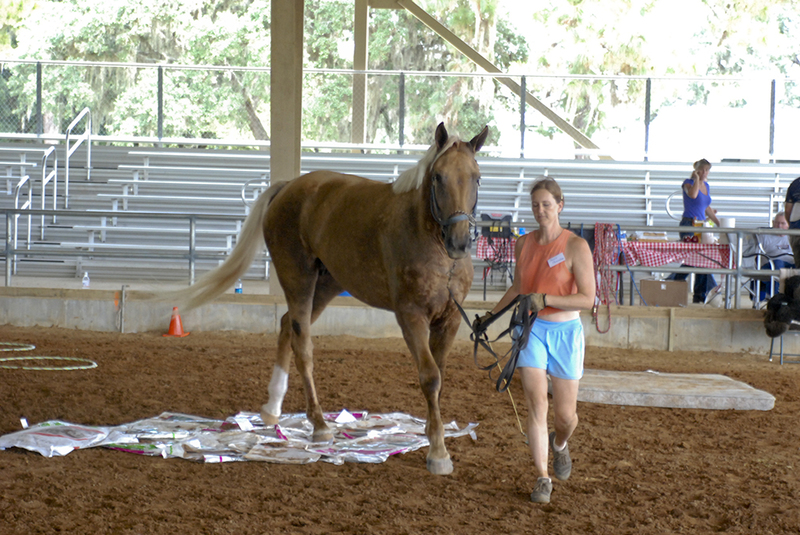 November 2008: Buttercup and Marigold recently took part in a demonstration on "how to start a tandem" at the Florida Whips Workshop weekend, and did a beautiful job! 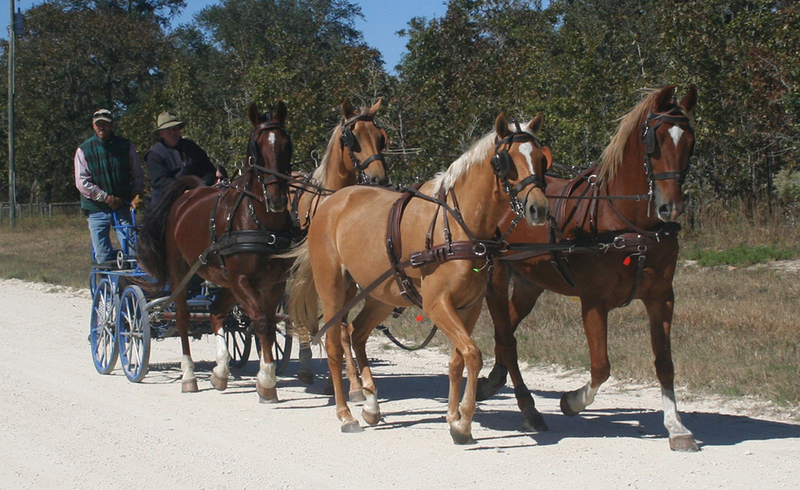 October 2008: Buttercup and Marigold recently were able to be hitched up as part of a 4 in-hand driving team alongside two pro 4 in-hand horses! 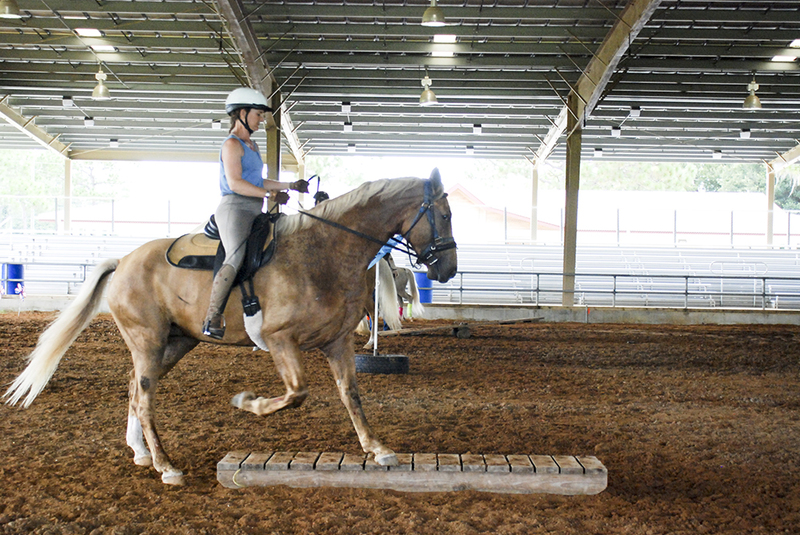 It was a great learning experience for our two girls and they took to it beautifully. 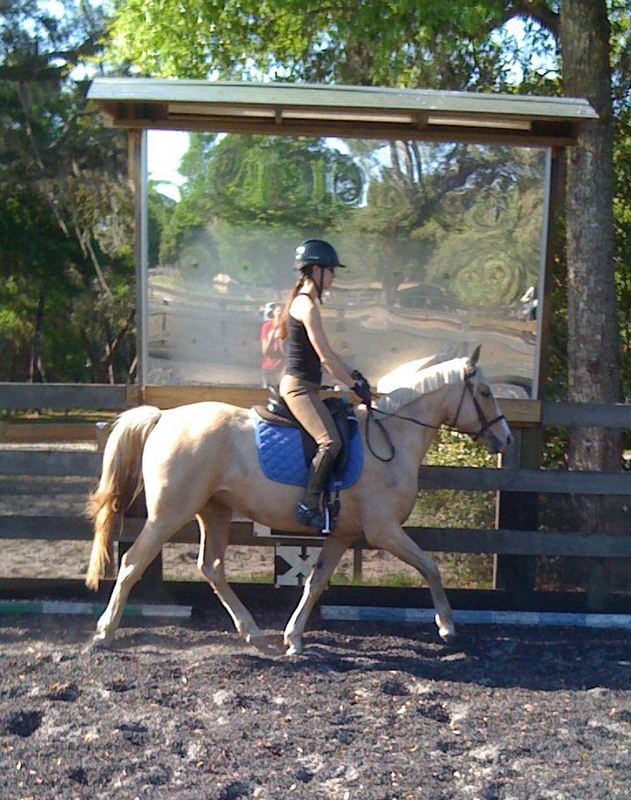 Buttercup was put as a leader and Marigold as a wheeler, which will hopefully be their future positions in our team of 4! 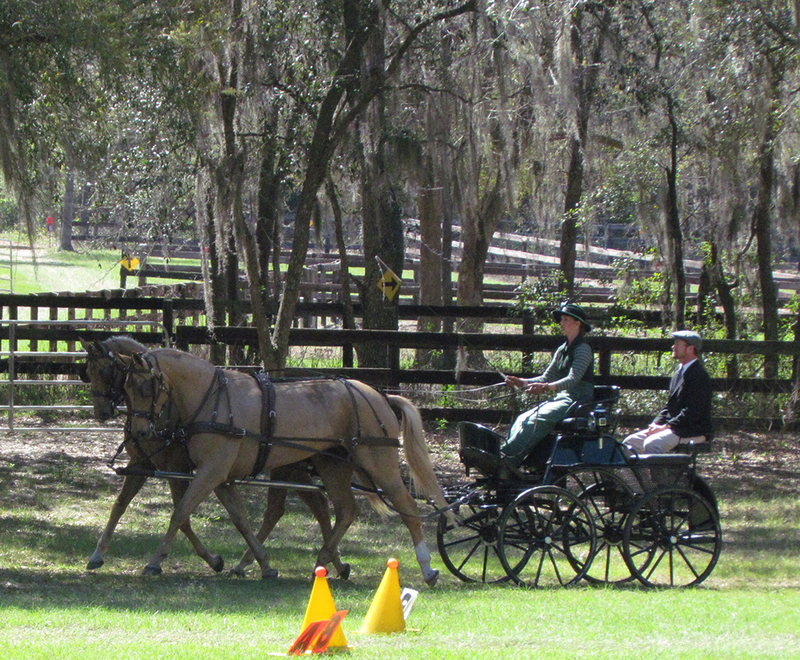 March 2011: Marigold has just competed in her first combined driving event as a pair, alongside Benji. 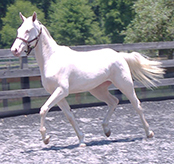 On May 14, 2008 around 9:30 p.m. her first foal was born via embryo transfer, the foal is a cremello filly with the same stripe as her sire Blue Eyed Dream GF and 3 cute little socks! 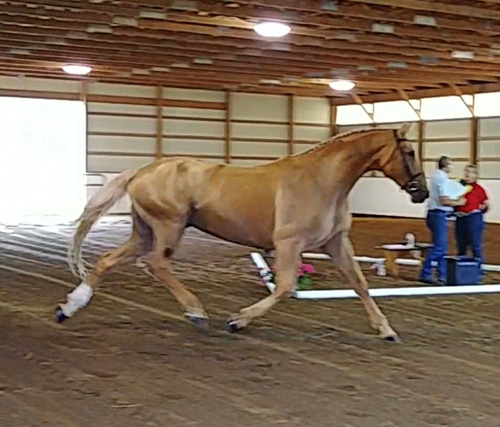 This is our's and Dream's first cremello warmblood filly born! 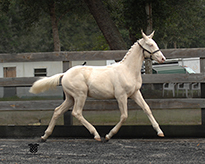 She is also the first cremello warmblood filly to be born in the USA and the first to be born via embryo transfer in the world!